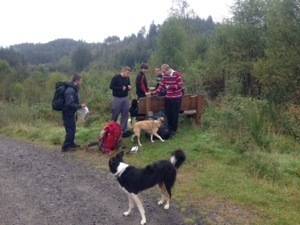 Several of the young adults from SiMY are just back from a successful overnight trip to Aberfoyle, testing out equipment ahead of their DOfE Expedition in October. 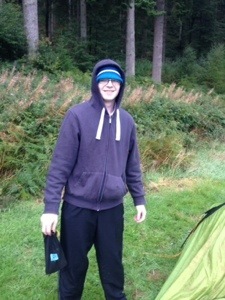 We arrived at the campsite at Loch Ard after dark on Friday night, just as it began raining. 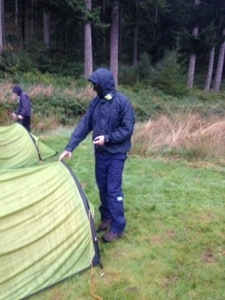 Thankfully, the rain stayed fairly light, and the guys made impressively rapid progress putting their tents up and organising water for cooking. We got some food organised, then turned in for the night. 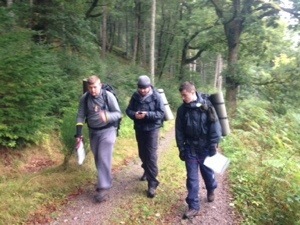 The rain had gone off by Saturday morning – to be replaced by a swarm of midgies, so breakfast was a fairly brisk affair, tents were packed and after a quick recap of the key skills for navigation, we got going along the tracks and trails around Loch Ard. 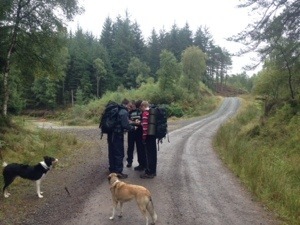 The guys showed good skills, working out strategies to get from point to point with the minimum of fuss, and we even had time for a bit of impromptu foraging amongst the brambles at the side of the road. Mid-afternoon saw us back at the car park, having covered the route with no nav errors and at a pretty brisk pace despite carrying fairly big packs for the first time, all of which inspired confidence that they’re ready for the real thing in a few weeks time.